It takes less than 3 minutes to register your Cricket club. 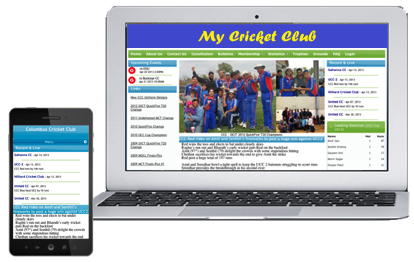 iCricketclub saves you time and money by letting you manage your Cricket team from your own website. See essential contact information for each player. Analyze the performance of your team and players with the huge range of stats that are automatically generated and updated after each match. Join from your PC, tablet or phone and keep in touch with your team. Notify people of events and let players set their availability for events.